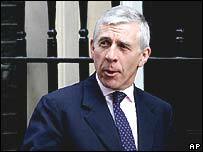 The departure of Jack Straw from the Foreign Office has come as a considerable surprise. It is going to be an uncertain time for the presentation of British foreign policy. 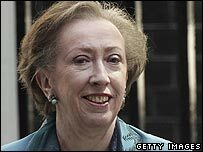 Mr Straw's successor, Margaret Beckett - incidentally Britain's first woman foreign secretary - will be immediately thrown into a growing crisis with Iran. She is due to join a dinner meeting of other foreign ministers in New York on Monday evening at which Iran and its nuclear programme is to be discussed. The others there - from the four other permanent members of the UN Security Council (the US, Russia, China and France) plus Germany - were confidently expecting the experienced Mr Straw and will now have to size up the new British representative. And she them. The point at issue is a Security Council draft resolution demanding that Iran suspend its enrichment of uranium. Britain is a sponsor of the resolution and the Western countries are right in the middle of the difficult task of getting Russia and China on board. Mr Straw had grown into the job and was extremely confident about the dossiers. He might have been expected to stay in office, especially as he had borne the heat and burden of justifying the invasion of Iraq, memorably having to try to match the display put on by the then French Foreign Minister Dominique de Villepin in the Security Council on the eve of the war. But beyond that, he had got used to arguing about the war and the future of Iraq and had also prepared the British policy on Iran. He has been in favour of trying to stop Iran by demands, initially, and by sanctions if necessary; but he has been against a military attack. He told reporters that it could not be justified under Article 51 of the UN Charter, which allows for self-defence. If there is one area of apparent difference between himself and the UK Prime Minister Tony Blair, it could be over this issue. There will be some who might interpret Mr Straw's departure as a sign that Mr Blair might be more willing to contemplate military action. That remains to be seen. But certainly in public statements, Mr Blair has been noticeably more reluctant to rule such action out, saying that to do so could send the "wrong message" at this time, presumably a message of weakness. Mr Straw's absence will give Mr Blair greater control over foreign policy. And it is not just British officials who will have been taken by surprise. The Americans did not expect this either. This is especially so because Mr Straw and Condoleezza Rice have spent a great deal of time and effort getting to know each other. Mr Straw went to Alabama, Ms Rice's home state, and recently Ms Rice went to Blackburn, Mr Straw's constituency. That kind of personal contact is unusual in modern diplomacy, which moves at such a fast pace that people do not normally have time to pay house calls. All that has now been thrown out of the window, and Mrs Beckett will have to develop her own relations. It is perhaps a rather brutal lesson to the Americans of how the parliamentary system works. There are implications from other moves in the reshuffle. Another Blair loyalist, Geoff Hoon, has been made minister for Europe. This job is usually seen as quite a junior one. It nestles in the Foreign Office under the wing of the powerful foreign secretary. Mr Hoon, Defence Secretary during the Iraq war, is likely to want to play a larger role than the occupant of this ministerial seat often does. Britain's relations with the rest of Europe are currently quite quiet, and the European Union itself is going through a period of re-assessment after the rejection of its proposed constitution. It is unclear whether Mr Hoon's arrival is designed to re-invigorate relations. Or has he has come to the Foreign Office because there was nowhere else for him to go? What will count is the absence of John Reid as defence secretary. 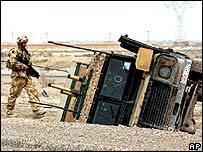 That post has assumed huge importance with the future of British troops in Iraq always on the agenda, and now troops are also engaged in what could be quite intense action in Afghanistan. The Afghan operation might need forceful justifying if things get tough, and Mr Reid was always prepared to take on all-comers. His successor Des Browne remains untested.